Picture of a Steam Train in the Esk Valley, North Yorkshire. During Summer of 2005 steam hauled trains operating between Whitby, Grosmont and Glaisdale, following a £2.5m track renewal programme on the route. These special trains operated along the scenic Esk Valley Line which normally sees nothing more glamorous than a two carriage class 142 Pacer train. The steam locomotive was BR Standard 2-6-0 76079. 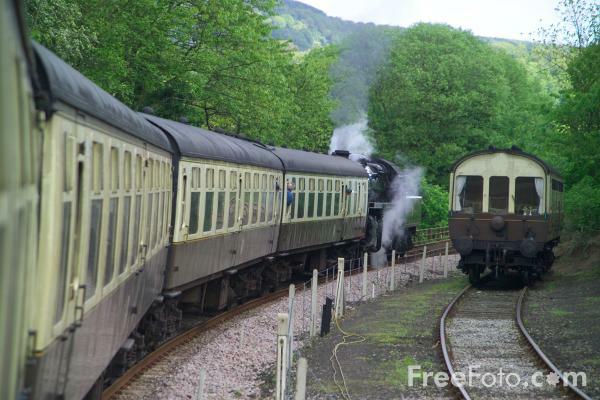 VIEW: More images from the category Esk Valley Steam Train .